Brittany has always been one of the most visited regions in France and on one of our cycling holidays in Brittany you can explore all Brittany has to offer, at your own pace. 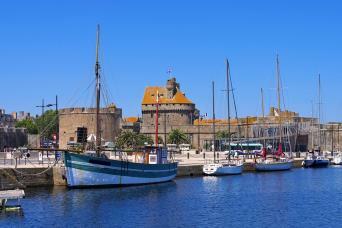 Coastal Brittany represents the strong Gallic side of France. The standing stones at Carnac, Perros-Guirec with its pink granite, the stunning city of Vannes and amazing beaches are all compounded by the vibrant Breton culture. Whether you want to cycle straight off the ferry on our St Malo to Mont St Michel trip or travel along Brittany's Canals and Coast to Mont St Michel, Macs Adventure has you covered. 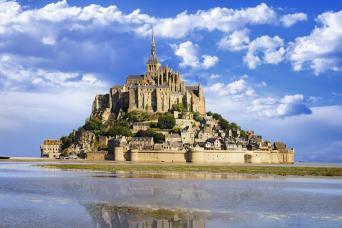 Discover the cities, villages and coastal towns of Brittany on this easy going cycling holiday, finishing with a day to explore the magnificent UNESCO listed island of Mont St Michel. 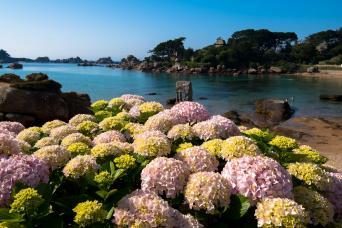 Discover the beaches, creperies and coastal towns of Brittany’s Granite Coast on this relaxed cycling tour.